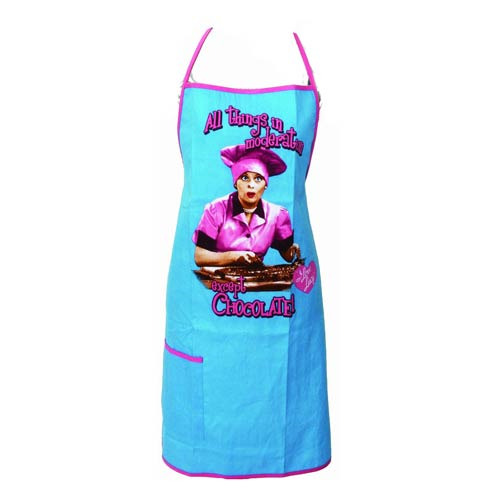 Bake like Lucy from I Love Lucy with this machine washable I Love Lucy Cook's Apron with Pocket! Designed for adults, this apron is one size fits all, made from 100% cotton, features a neck loop, and ties at the waist. To make things super convenient, it even includes a pocket on its right hand side! The apron features an image pulled from the "Job Switching" episode where Lucy gets a job with Ethel at a candy factory. Measures 30-inches long x 26-inches wide.